Lat 46�04'40'', long 120�28'30'', in SW 1/4 sec. 28, T. 4 N., R. 21 W., on downstream side of footbridge, 0.25 mile downstream from diversion dam, 1.5 miles downstream from Como Lake, and 4 miles northwest of Darby. Section 1 is about 0.25 mile upstream from gauge. 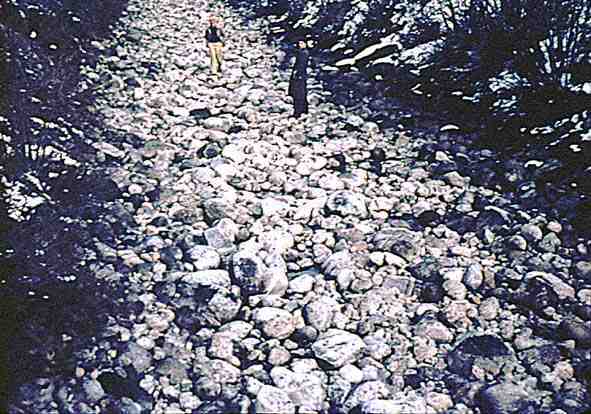 Bed and bank consist of boulders ; d50 = 210 mm, d84 = 375 mm. Plan and cross sections, Rock Creek Canal near Darby, Montana. 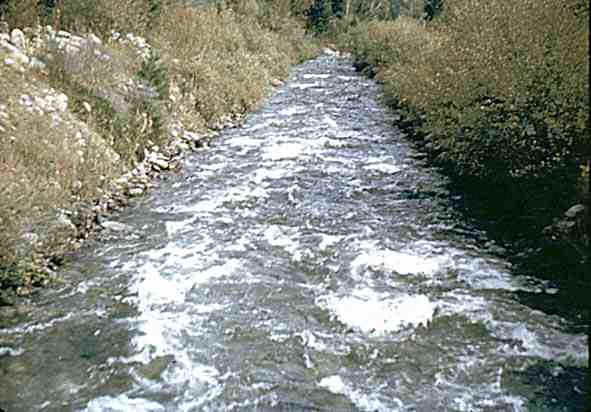 Photo 136: Downstream from above section 1, Rock Creek Canal near Darby, Montana.